1:08:01 – Part 5 Powerful Life Principles – This hard hitting training will offer practical real world examples how to break through some of tough life’s challenges. Be ready for straight talk and honest answers that will leave you with some powerful techniques on overcoming tough adversity and living with abundance. 32:34 – Part 4 Difficult Conversations – If you find yourself unhappy in your ability to deal with tough conflict, these techniques and “how to’s” will give you some practical tips on how to manage conflict like a pro! 29:56 – Part 2 Behavior Styles – No longer material for self analysis alone, understanding the way that different people experience, feel, think and change becomes crucial for all of us in building effective relationships. Let me show you how to see, hear and relate to others quickly in order to achieve your objectives. Recorded Sunday, December 16, 2012. 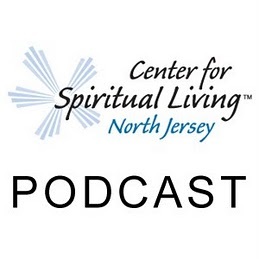 11:44 – A special spiritual mind treatment performed at The Center for Spiritual Living North Jersey by Rev. Michelle Wadleigh, in memory of all those affected by the tragedy of Newtown, Connecticut.